As the Justin Beiber of his day David Cassidy was among the first ever teen idols (even though he was knocking on for 20 when he made it big) and in the early 1970s his face adorned the walls of a million teenage girls’ bedrooms. As one of the first really big ‘bubblegum pop’ solo artists his commercial value was exploited mercilessly although as is often the case he resented his lack of credibility within the pop music fraternity and wanted to be taken seriously as a musician and artist. Our latest Unexpected Gem is taken from the flip-side of Cassidy’s 1975 single ‘I Write the Songs’ which ironically enough he didn’t actually write himself. Instead it was written by Bruce Johnston who also produced Cassidy’s version taken from his solo album of the same year The Higher They Climb. It was Barry Manilow who went on to make the track a smash hit in 1976 although Cassidy’s version still reached number 11 in the UK charts, but we digress. ‘Get it Up for Love’ (stop sniggering at the back boys) was originally written and performed by Ned Doheny on his 1976 album Hard Candy. One of five albums he released through between 1973 and 1993; he never really made it big in his native USA but he was ahem, big in Japan (and Europe). Perhaps the best known version of ‘Get it Up for Love’ was Tata Vega’s disco version from 1979 which was latterly sampled by Daft Punk. We really must have a look at Ned Doheny some time as his oh so smooth ‘yacht rock’ is much underappreciated and he clearly doesn’t get the credit he deserves. But anyway, back to the subject matter in hand. 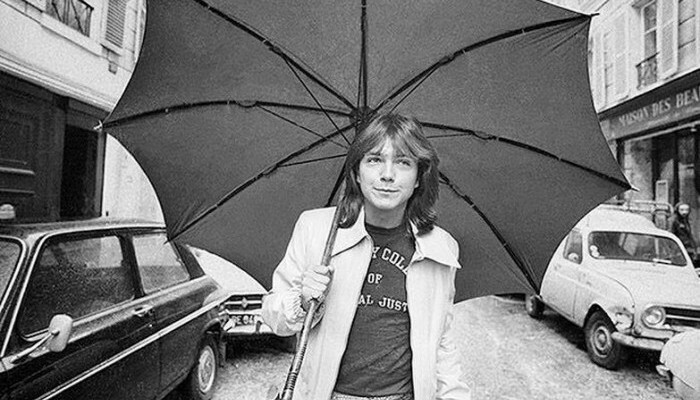 We’re not sure how David Cassidy managed to release his version before Ned Doheny did but nevertheless he does make a pretty good job of it and on the basis of this probably deserved to be taken more seriously as a performer than he was, but once you’re stuck with a label it’s not easy to move on from it as many a pop performer will testify. However, he’s received the rare nomination of a VoEA Unexpected Gem post which we’re sure he’ll covet for many-a-year to come. So without any further ado or waffle check it out and make your own minds up.